Ch5 03 – My Hero! Why isn’t anyone talking about poor Jared? Dude’s just as poisoned as Veraz. I’m sure Hasera just has to dig down, deep inside of herself and find that healer within! It’s just really, really buried down there. Quite deep. Perhaps guarded by a panther. 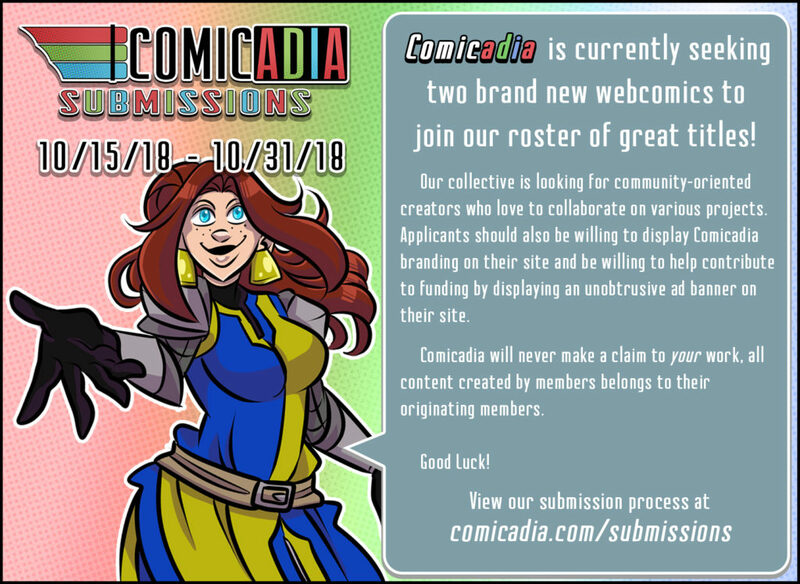 Speaking of digging deep, Comicadia is opening up its doors to new folks! Click on Hasera for more details! I guarantee you that we don’t bite (hard). Well, that’s certainly _one_ way to pass the exam. So here we see that she’s good at thinking outside the box! Perhaps she can stall for time by applying the same method? Nothing can possibly go wrong with that, right? Contrary to popular (in-universe) written fiction, Lark sleeping with someone will not heal them of death. “Temperature is still high” – that’s exactly where ice magic could help most. 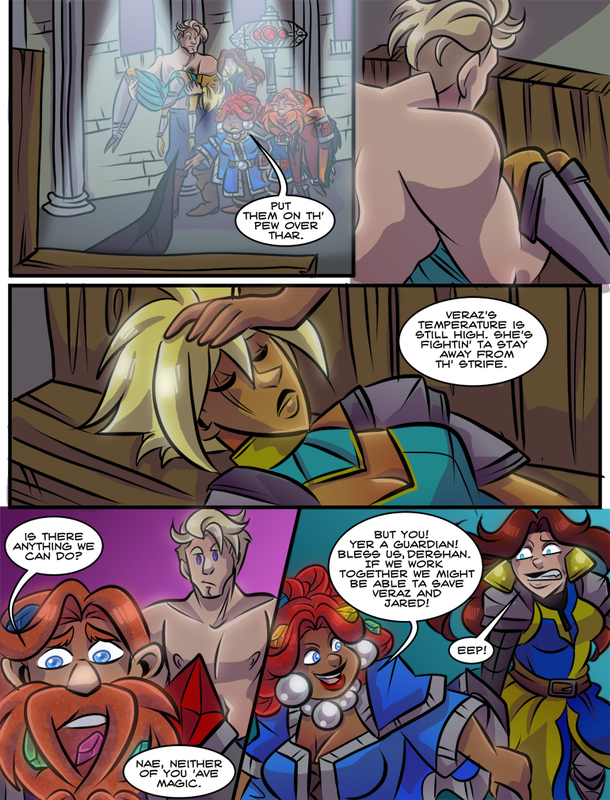 I suppose quick death is better than strife of life after botched healing. Alternatively, she can freeze them, and hope than in 200 years somebody will develop a method of both unfreezing and healing the guys.